Nigeria, located in West Africa, is threatened and partly controlled by the Islamic group Boko Haram. 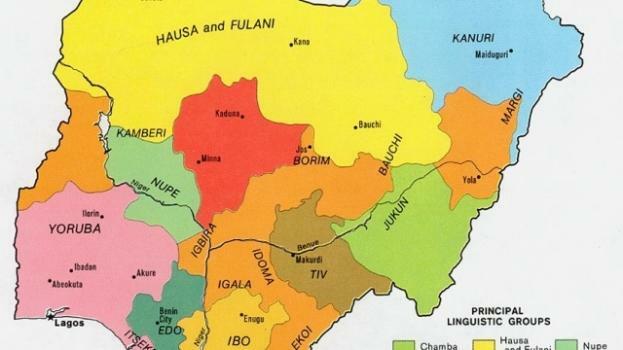 Nigeria is a West African country that is bordered by Benin, Chad, Cameroon and Niger. It is a federal country that is made of 36 States. Nigeria was largely spoken of in the news after Boko Haram kidnapped 276 schoolgirls in May 2014 in Chibok. The government's inadequate response created national outrage which took to social media, via the hashtag #bringbackourgirls, represented by the USA's first lady, Michelle Obama. The totality of the girls have not yet been found. In 2014, it was also spoken of in the media for it was touched by the outbreak of the Ebola virus. Nigeria was established as a British protectorate, and became independent in 1960. Its official language is English, although over 500 languages are spoken throughout the country. The three most spoken languages after English are Igbo, Hausa and Yoruba. The two main religions are Islam (50% of the population) and Christianism (48% of the population). Following its independence, the country plunged into a civil war until 1970. Power has altered between military dictatorships and democratically-elected governments since then. The last election that took place in 2011 was considered the first free and fair presidential election. President Goodluck Jonathan was elected with 59% percent of votes on April 18 2011. Nigeria is the most populous country and the first economy in Africa, with 174 million inhabitants and a GDP worth more than $500 billion. In 2014, it took over South Africa as Africa's largest economy, and the world's 21st. The country's economy is largely based on its oil reserves. It is considered an emerging market and is part of the MINT countries (Mexico, Indonesia, Nigeria, Turkey), who are considered to be the world's next "BRIC-like" economies (Brazil, Russia, India, China, South Africa). Due to its multi confessional environment, Nigeria has been victim of strong sectarian violence, particularly from the Islamist movement Boko Haram. In 2014, the group, who wants to abolish sectarianism and establish the Sharia law, has, according to Goodluck Jonathan, killed over 12 000 people and crippled 8000 others. Is India in denial of its racial issue? Buhari first opposition leader to win a presidential election since country gained independence. Nigeria's most influential jihadi group declares allegiance in a recently released audio message. Kimberly Thompson: as the Nigerian fraud is alive and well. And close to home.